First Floor - 109.99 m2 / 1,184 sq.ft. 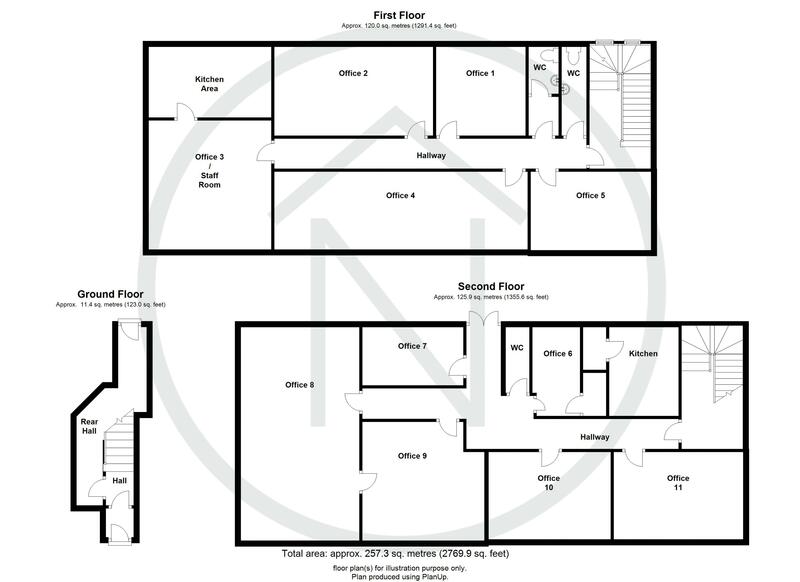 Second Floor - 111.94 m2 / 1,205 sq.ft. The premises are suitable for a variety of uses (subject to planning) such as A2 / B1 / D1 / D2. Newton Aycliffe is located just off the A1(M) some 20 miles south of Durham and 6 miles north of Darlington. The town has a district population of 87,000 (resident 2001) and a catchment population of 244,500 within 10 miles of the centre. The scheme comprises an open-air purpose-built shopping centre of circa 18,580 m2 (200,000 sq.ft. 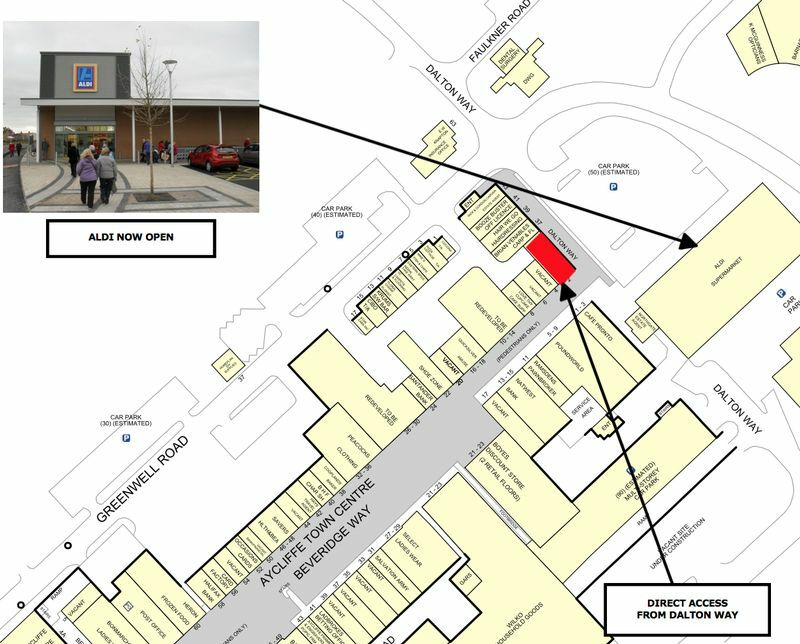 ), comprising 70 ground floor shop units and is surrounded by free car parking for approximately 380 cars. 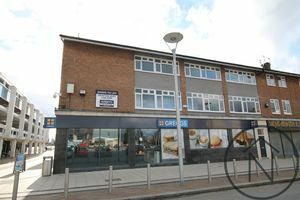 The subject premises are located on the first floor directly above the new Greggs store in the prime pedstrianised pitch on Beveridge Way and accessed directly from Dalton Way. 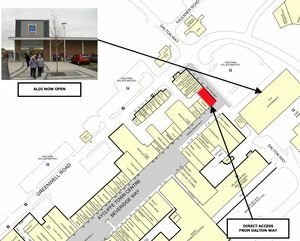 Other nearby retailers include Aldi, Select, NatWest, Wilko and Peacocks. 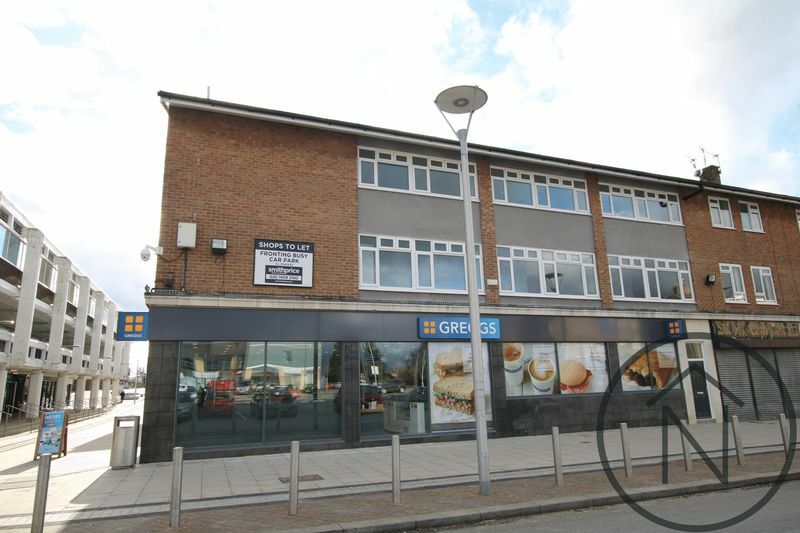 The premises are available by way of a new effectively full repairing and insuring lease for a term to be agreed. Quoting terms are available upon application. The rates are currently being re-assessed. Interested parties are advised to make their own enquiries to the Local Authority. An EPC is available upon request. Each party is to be responsible for their own legal and surveyors costs incurred in the transaction.